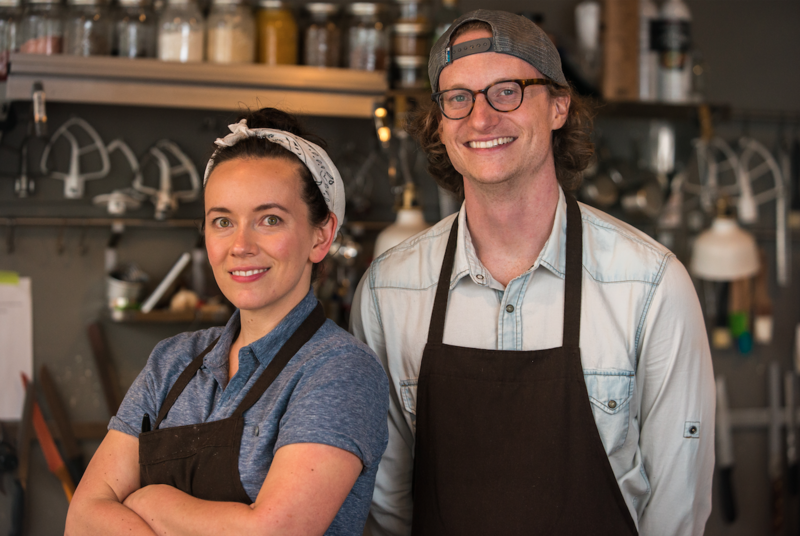 Charlotte and Jordan Ripley launched Brunchkin this spring. Although last weekend was the final chance to savor the æbleskivers from local pop-up cafe Brunchkin, the formerly weekly venture isn’t fully departing. Now that Brunchkin’s Sunday brunch service at A Small Batch (formerly Batch Bakeshop) in West Central Spokane has commenced for the season after three months, owners Charlotte and Jordan Ripley have announced plans for “Brunchkin 2.0,” a monthly fixed-price event with the first day set for Sunday, Sept. 9. Reservations for monthly brunch will be available online soon. “Our hope is that this lets us focus on developing a menu of the food we like best, while still allowing you regular opportunities to come in and enjoy Brunchkin. We also hope this alleviates some of the challenges with our limited seating capacity,” the couple said in a recent newsletter. In addition, the Ripleys plan to continue offering a small selection of baked goods for counter service orders, including quiche, drinks and Charlotte’s signature baked treats. In the meantime, catch Brunchkin at the Kendall Yards Night Market and Perry Street Thursday Market. Read more about Brunckin’s story in this feature we wrote back in May. Low-income residents of the Palouse can get more of a financial reprieve when grocery shopping, thanks to an increased discount offered at the Moscow Food Co-op. The Co-op’s FLOWER (which stands for “Fresh, Local, Organic and Within Everyone’s Reach”) program, which benefits families who qualify for food assistance through EBT/SNAP, WIC, Medicaid or the National School Lunch program, can now get 20 percent off their total bill each time they shop. Previously, FLOWER offered a 10 percent discount to that customer demographic. Customers who qualify can fill out an application online or in person at the store. Other benefits of FLOWER include the Co-op’s Healthy Eating on a Budget cooking series and online access to the Good and Cheap cookbook. One in five families on the Palouse is affected by food insecurity, the co-op reports. Having outgrown its space on Argonne Road in Millwood, the local wine and beer shop Bottles is moving to bigger digs just a few doors down. In the meantime, the shop is gearing up to host a three-day clearance sale, offering a variety of discounts on select inventory and quantities. The sale runs Thursday, Aug. 23 to Saturday, Aug. 25. Lentils are king on the Palouse. 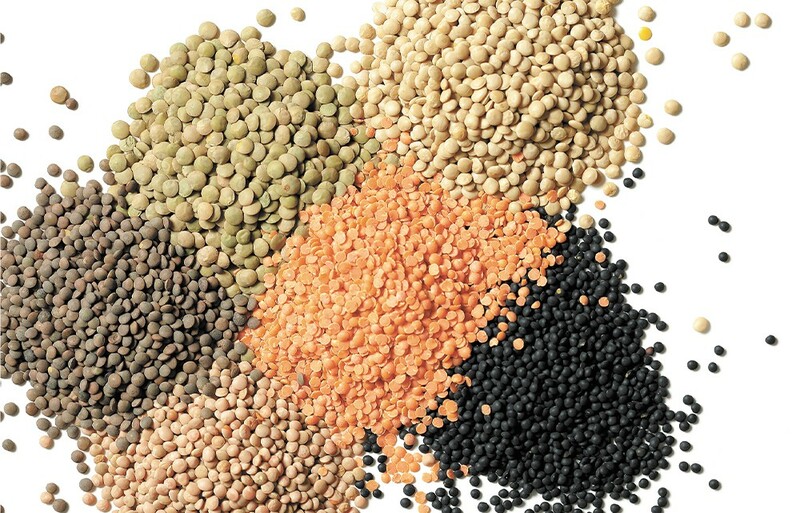 Pullman is pulsing with pulses this weekend for the 30th annual National Lentil Festival. Get a preview of what to expect, including a massive bowl of lentil chili, chef demos and more. Also, one of our awesome summer interns tells the story behind Wallace, Idaho's only fine dining restaurant, the Fainting Goat, and why the Silver Valley establishment is worth a visit. We also introduce readers to the Mango Tree, a new spot for Indian cuisine in the Lake City.